The South Wales Argus, in association with Newport Now, has launched its first business awards, bringing a key prestigious event in the local business calendar. Businesses from across the Gwent region and from all different sectors were honored at the Awards event. Judges met to discuss the incredible work of individuals and organizations providing services, who have been nominated in a range of categories. Western Power Distribution sponsored the Innovative Business of the Year award, which we are pleased to announce was presented to Cintec International Ltd. This award goes to a business that has introduced a new project, process, invention, idea, or design that has made a significant contribution to the business. The awards were a fantastic opportunity to highlight the best of ambition and vision in the region, and celebrate our successes. 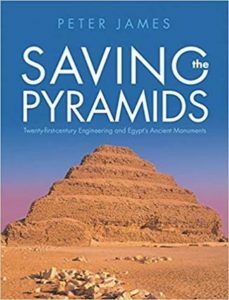 Cintec is proud to present Saving the Pyramids; a book on Twenty-first-century Engineering and Egypt’s Ancient Monuments, by Peter James. Peter James has spent his career strengthening and restoring historically significant structures all around the world, from Windsor Castle to the parliament buildings in Canada. In Saving the Pyramids, James brings his unique perspective to the structural engineering of ancient Egypt. After fourteen years working on the historic buildings and temples of Egypt, and most recently on the world’s oldest pyramid, he now presents some of the more common theories surrounding the ”collapsing” pyramid – along with new and innovative projections on the construction of the pyramids and the restoration of some of Cairo’s most monumental structures from the brink of ruin. The decoding of historic construction from a builder’s perspective is examined and explained – at times against many existing theories – and the book provides a new outlook on long-held assumptions, to embrace modern theories in a bid to preserve the past. 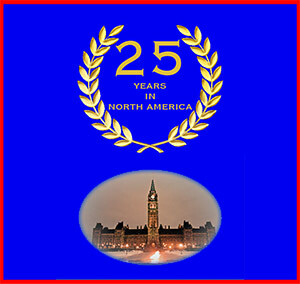 The book is available for purchase in Cintec offices and bookstores throughout Canada, the US, and the UK, as well as available for purchase online.